Canon has just unveiled an entry-level camera that extends its mirrorless family. The new Canon EOS M100 offers good value for money since it incorporates technology from the more expensive DSLR cameras including Dual Pixel AF, which yields better focus during recording. Canon EOS M100 is the successor to EOS M10, which launched two years ago. It targets consumers who plan to purchase their first system camera and need something small and flexible that’s easy to operate. The exterior is therefore clean and uncluttered with few physical buttons. The majority of functions are controlled from the 3-inch LCD screen. The screen can be twisted forward for easy selfies. The resolution of the sensor is really high at 24.2 MP. The processor has been upgraded to the latest Digic 7. The more powerful processor supports recording in 1080/60p resolution, compared to M10’s 1080/30p. The frame rate of 4 frames per second (fps) is almost double that of the predecessor. Locking the focus boosts the frame rate to 6 fps. 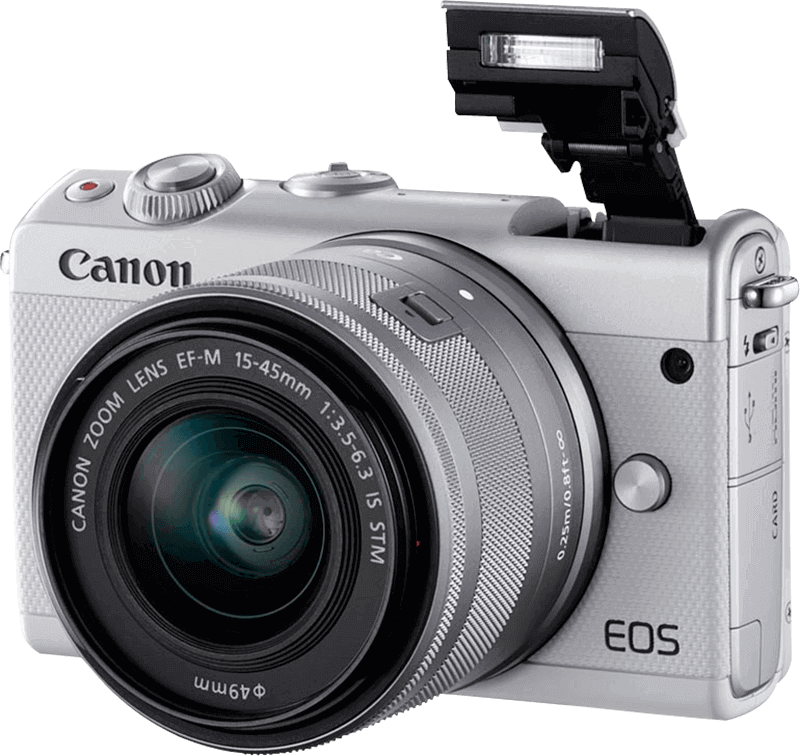 Canon EOS M100 will initially be available in black and white colours. In addition, the shell on the front side used as a small hand grip can be purchased in nine different colours. The pricing for the 15-45 mm is NZD$775 while the dual-lens 55-200mm kit costs NZD$1,300.